Pizzeria Sued for Damages Caused by Kitchen Exhaust Duct Fire | Flue Steam Inc.
Last November, a fire broke out around the exhaust duct in the kitchen of Pizzeria Toro in Durham NC, causing significant damage to the building. The pizzeria and two neighboring businesses were forced to close, and the three apartments located above the restaurant were also rendered uninhabitable. One of the upstairs tenants has filed a lawsuit against the pizzeria and the company hired to clean its kitchen exhaust system, seeking punitive damages against both companies as well as compensation for emotional distress related to the fire. The tenant claims that both Pizzeria Toro and the cleaning company, Exhaust Clean, were negligent in their performance of the tasks required to ensure that the kitchen exhaust system was free of fire hazards. However, at a cleaning three weeks before the fire, Exhaust Clean notified Pizzeria Toro that some areas of the exhaust system were inaccessible and therefore impossible to clean. The pizzeria declined to act on this advice, which seems to place responsibility for the resulting fire squarely on the restaurant. Pizzeria Toro should have known better than to ignore the advice of their exhaust system cleaning company. 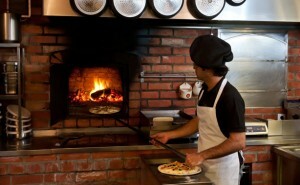 After all, the pizzeria had already suffered a minor fire in April. This fire, which was in the kitchen ventilation duct, was quickly extinguished and caused little damage, but it still should have served to open the restaurant owner’s eyes to the need for more thorough and frequent cleaning. This story serves to highlight two important facts about kitchen exhaust system cleaning, namely that it is vital to hire a reputable company and to follow that company’s advice promptly. Many kitchen exhaust system cleaning companies focus only on cleaning the visible parts of the exhaust system, which provides an eye-pleasing result while leaving hidden dangers lurking deep within the exhaust system. Flue Steam, however, provides truly comprehensive kitchen exhaust system cleanings using steam cleaning equipment that can reach to places where hand scraping tools cannot. Flue Steam can also assist with the creation of additional access points to facilitate total cleaning of the kitchen exhaust system. This offers our clients a tremendous advantage, because if we identify an inaccessible area we can also offer a solution, rather than leaving restaurant owners at a loss for how to proceed, as perhaps happened in the case of Pizzeria Toro. Any access panels we install are guaranteed to be in compliance with relevant safety standards and will not compromise the integrity of your duct work. 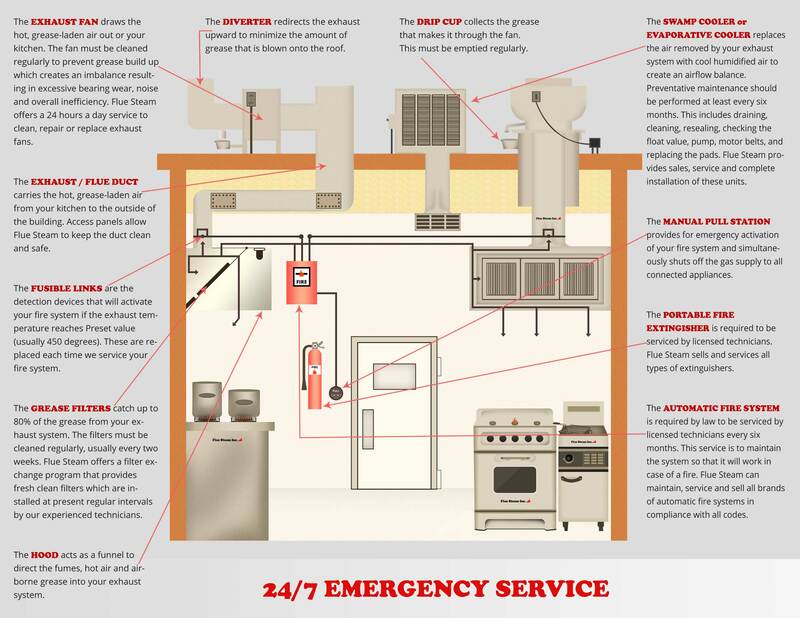 If you’d like to learn more about how Flue Steam can help prevent a dangerous fire—and perhaps a lawsuit—from affecting your restaurant, please contact us any time.